Ever since the early days of railroading, bells and whistles have played an important part in the safe operation of locomotives and trains. 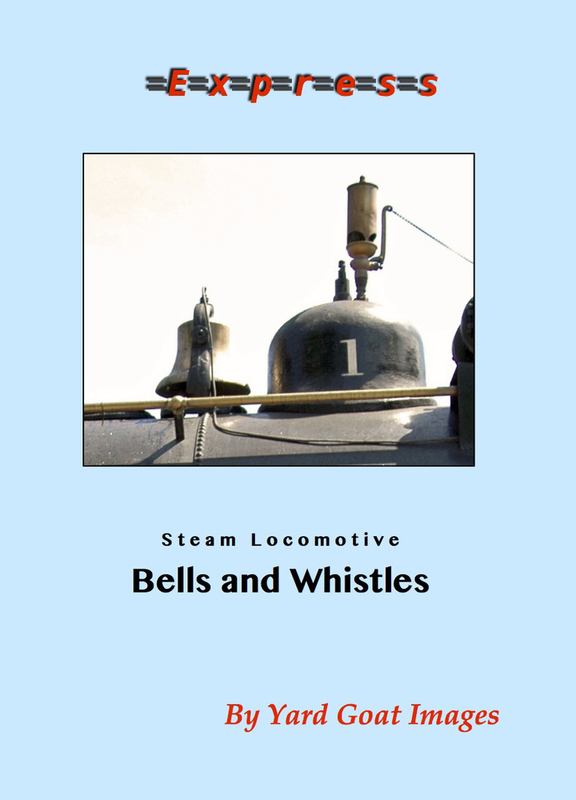 Our DVD Steam Locomotive Bells and Whistles demonstrates many examples of using these devices. We also explain why and when bells and whistles are used. A steam locomotive’s whistle is both a warning device and a means of communication. Before two-way radios were invented, railroad crews used various ways to “speak” with one another by using hand signals during the day, lanterns in darkness, and the sound of the steam whistle. You will learn what many whistle combinations mean to railroad crews and how they provide warnings to the general public. We present samples of thirty different steam locomotives from our DVD library, using extended scenes to provide enjoyable examples of bells and whistles used to warn and communicate. This informative program about bells and whistles is intended for younger railfans, but we think people of all ages will enjoy and learn something new while watching lots and lots of great steam action! Our footage was captured with multiple tripod-mounted HD cameras / Running time approximately 52 minutes PLUS 42 minutes of previews of the DVDs used in the production of Steam Locomotive Bells and Whistles!